FileTime enables you to archive inactive cases and submissions, filings, and eServices. Archiving moves inactive cases, for instance, from the list of active cases but it does not delete those cases from our data base. You can later access an archived case and reactivate it if necessary. Using Cases as an example as in the image below, click on the row for the case you want to archive, causing it to be highlighted. Click the Archive button for that case. The case is now moved from the list of active cases to the Archived Cases list. Use the same process to archive submissions, filings, and eServices on their respective pages. 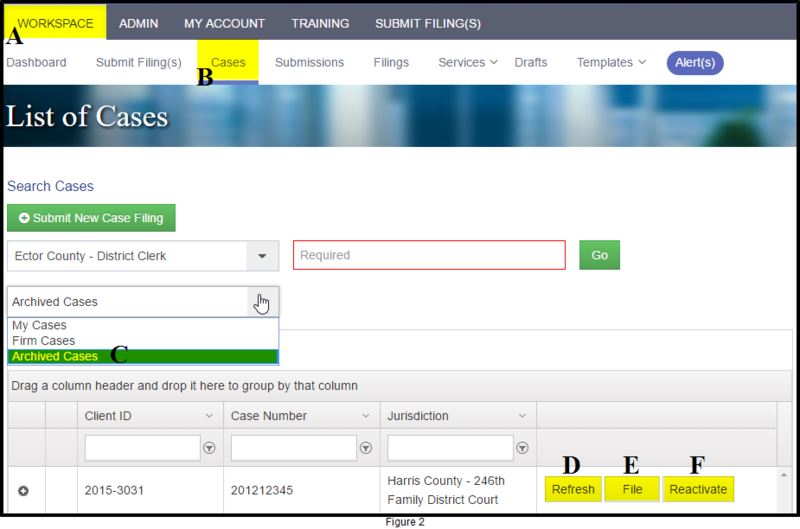 Again using Cases as an example, click on the Cases buttons (B). Click the My Cases drop down menu and select to view the Archived cases (C). From the list of Archived Cases choose the Case you wish to review and click on the row of the case to highlight it. Click the File button (E) to submit a filing for the case. 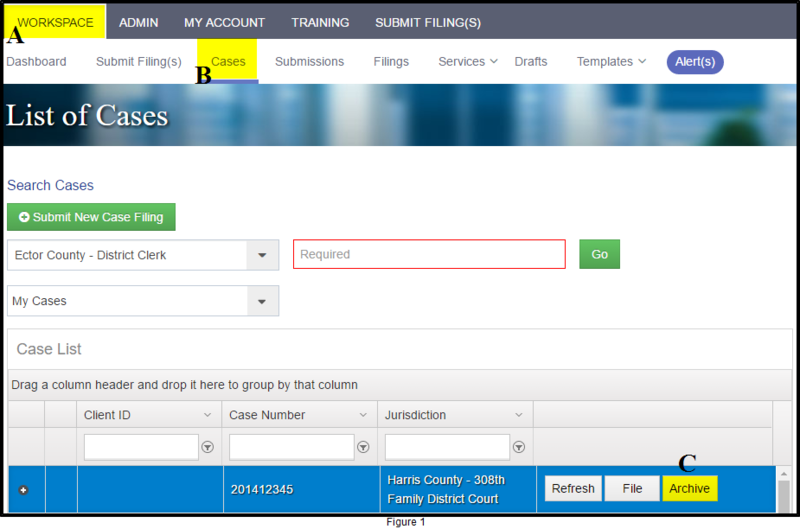 Click the Reactivate button (F) to move the case from your Archive to your list of active cases. Click the Refresh button (D) to download the most current information about the case from eFileTexas.